Last year, Kellogg donated 570 million servings of food to food banks, breakfast clubs and disaster relief. Kellogg and our partner, the Egyptian Food Bank, share a goal to end hunger. Around the world, we’ve seen firsthand how school feeding programs help kids show up ready to learn. That’s why, through our global purpose platform, Breakfasts for Better Days™, we’re expanding feeding and nutrition education programs so 2 million more children can reach their full potential. Last year, alone, we reached more than 586,000 children. When well-known Egyptian food company Bisco Misr joined the Kellogg family in 2015, a new partnership with the Egyptian Food Bank was born. With financial support from the Kellogg Company Fund, the food bank created a feeding project at the El Demerdash School in Sawah, Cairo – and we’ve been part of their kitchen ever since, feeding more than 400 children daily. This school is one of many in a program that was created by the Egyptian Food Bank. What makes this program so special is that parents of the children at the schools are trained and employed to work in the kitchens, where there is a very strong focus on food safety and hygiene. These school kitchens operate in the poorest primary governmental schools, providing students who may otherwise go without access to a nutritious daily meal. In December 2017, we took our partnership to a new level, donating more than one million nutrition-packed Bisco Misr Datto Date Bars, to more than 100 organizations through the Egyptian Food Bank. The biscuits provide healthy nutrition to kids as well as older people and families in seven governates of Egypt. We have also leveraged our partnership with the Egyptian Food Bank to include other meaningful activities. Fasting employees volunteer to prepare Ramadan food boxes for people in need, and we expanded our Kellogg Elderly program in 2017, which provides food and other services for seniors in need. 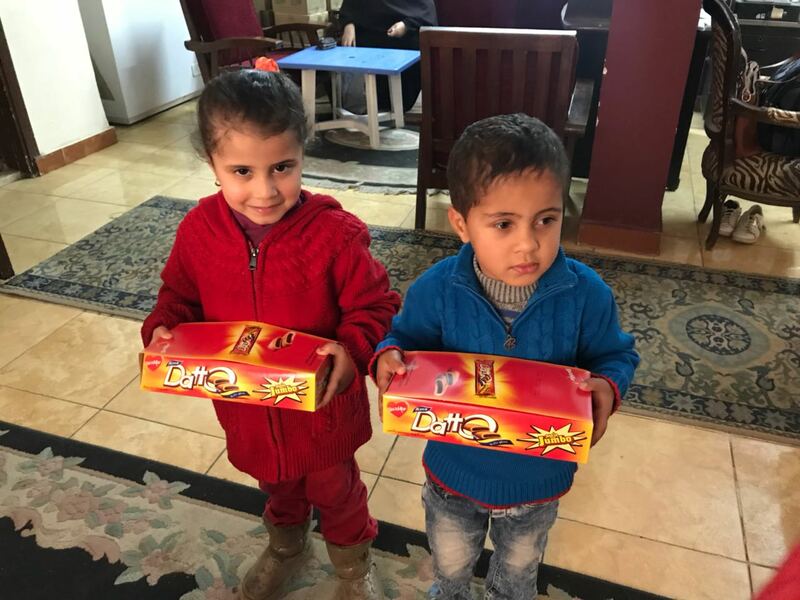 You can read more about Breakfasts for Better Days and our work with the Egyptian Food Bank and many other organizations in the 10th annual Kellogg Company Corporate Responsibility Report, Nourishing Families So They Can Flourish and Thrive [LINK TO REPORT]. The report outlines our progress nourishing with our foods, feeding people in need and nurturing our planet, all while living our founder’s values. The Kellogg Med/MEA business includes our operations in Iceland, Greece, Dubai, Turkey and the Emerging Markets. This incorporates Emerging Markets such as Egypt where we recently acquired the majority share of Bisco Misr, one of Egypt’s leading biscuit companies.